As a result of the AVN's successful appeal against the NSW Health Care Complaints Commission finding, the NSW Government proposed an amendment to existing health legislation. The Health Legislation Amendment Bill 2013 has successfully passed both houses of parliament and is now on its way for Assent. We can expect this amendment to commence 28 days after the date of assent. 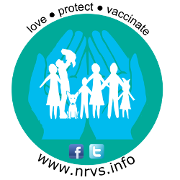 Update 17 May 2013: The Health Legislation Amendment Bill 2013 received the Royal Assent on 14 May 2013 and came into effect immediately. It has been heartening to see strong the bipartisan support for this legislation and the concerns voiced in parliament about the growing number of people who are rejecting evidence-based approaches to healthcare. I urge you to read the Health Legislation Amendment Bill 2013 (Proof) in full. Below are some notable comments by politicians from this document regarding the Australian Vaccination Network. "This addresses a disappointing situation concerning an organisation known as the Australian Vaccination Network, which is a Bangalow-based organisation that is opposed to childhood immunisation that has successfully undermined many parents' confidence in the benefits of immunisation." "Ms Dorey insists that highly infectious childhood illnesses such as measles, mumps, rubella and chicken pox are benign. There are many good reasons to spare our children the illness and scarring that can result from these diseases. The foremost in my mind is to protect unborn children who are exposed to horrific consequences in the event that their unprotected mothers are exposed to and catch rubella. Ms Dorey reportedly insists that whooping cough cannot kill children. Whooping cough is an horrific disease that causes immense distress and suffering to babies and their tiny lungs." "The zeal and success of the Australian Vaccination Network accumulating scientific fact and truth about immunisation is, sadly, having deadly effects. The Australian Vaccination Network's campaign has been rampant in my community of Northern Rivers, and childhood immunisation rates have fallen below 70 per cent compared with 90 per cent for the rest of Australia. In the Byron shire, which is home to the community of Bangalow, the rate has fallen below 50 per cent." "They will close the loopholes that allowed the Australian Vaccination Network to continue issuing its misleading and deceptive information." ... " I hope that when this bill is passed the Health Care Complaints Commission will immediately return to its investigation of the Australian Vaccination Network. The whole point of Parliament's passing this legislation is to empower the commission to do just that." "I call on the Health Care Complaints Commission immediately to stop the Australian Vaccination Network spreading misleading information and I ask the media as a whole not to facilitate the dissemination of such dangerous messages to vulnerable parents who are already bombarded with confusing information and who somehow believe that the network's role in the immunisation debate is evenly balanced. It is not. It has no support from the scientific and medical communities in Australia." The Hon. Trevor Khan: The Australian Vaccination Network publishes a website that could be described as highly sceptical, indeed far more than that. The Hon. Dr Peter Phelps: I think "insane" is the word you are looking for.
" Let us be plain about this: we know that they disseminated material into the community that discourages parents from vaccinating their children. Indeed, we know from what has occurred with the drop in levels of immunisation amongst children, particularly in areas such as the North Coast, that they were in a sense so profoundly disreputable that they were prepared to say that they did not affect an individual client." "Sadly, some groups discourage parents from immunising their children. Let there be no doubt, these groups are a danger to the public health of our society. Their unscientific opinions can result in parents not vaccinating their children. They may contract the infections themselves and pass it on to their children. Anti-immunisation groups, such as the Australian Vaccination Network, have touted unscientific propaganda such as the discredited link between the measles vaccine and autism. 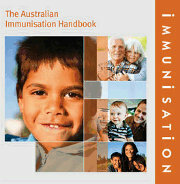 The name of the Australian Vaccination Network is profoundly misleading; it implies that it supports immunisation." "... the Commissioner for Fair Trading, at the encouragement of the Minister, has issued a direction under the Associations Incorporation Act for the Australian Vaccination Network to change its unacceptable, misleading and deceptive name. 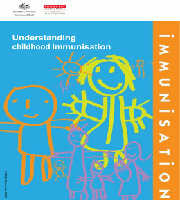 Parents have a right to know the benefits and risk of immunisation." "... the speech made by the member for Cessnock, Mr Clayton Barr, led to emails being sent to many of us by members of the community in which they criticised him for his vocal criticism of the Australian Vaccination Network. I congratulate him on his words and on assisting in the protection of our children in New South Wales. I congratulate him on having the guts to stand up against an organisation such as the Australian Vaccination Network. I invite members of the community to send emails about my speech. I will happily receive them and respond accordingly." "The Greens strongly support both amendments, and particularly those that address the findings of the Supreme Court in the case of the completely misleadingly named Australian Vaccination Network and NSW Health. That case involved a technicality that effectively stopped the action that NSW Health was taking against the network." "We are seeing the emergence of a combination of two groups of people: the vaccine deniers - those who swallow the propaganda being peddled by the so-called Australian Vaccination Network; and the free riders - those who believe it is easier not to get vaccinated." "I do not wish to vilify any particular parent but I do seek to raise serious alarm, as others have, about the behaviour of the Australian Vaccination Network and those who promote the non-science and nonsense of the risks of vaccination. It is all very well to be trendy and to adopt issues that are published on the web but we are serious. This is about the lives of children. Kids die from whooping cough. I do not know if members have seen a child under the age of three years suffering from whooping cough. It is terrible and something that no child should experience." "I believe that people such as Meryl Dorey from Australian Vaccination Network are behaving in an entirely immoral way." "I urge people like Meryl Dorey to stop this campaign that is leading to the death of or permanent impairment of children. Meryl Dorey's campaign is immoral and she ought to stop that happening. She should drop this campaign and understand the damage that she is inflicting on other children." "We should not subject innocent children to theories that are based on non-science and nonsense." "I am gravely concerned when organisations misrepresent the facts, and the role and intent of their organisation. That could lead to parents - or for that matter any person looking for accurate, evidence-based material or information that relates to their health or the health of their child - believing that the organisation has information and can fulfil that role based on science and peer-reviewed research. When an organisation represents itself as being able to provide information, that is not only reprehensible but it should be a crime because the consequences for our public health are serious. In addition, not only are the consequences for public health serious, the consequences for children are dire. Children die; infants die from whooping cough. They also die from other childhood diseases, the dangers of which we do not understand because of vaccination. Honestly, people do not believe the serious consequences of childhood diseases such as measles, mumps, chicken pox and whooping cough." "Childhood diseases cause serious disabilities in children, which they then have to live with for the rest of their lives. They affect the quality of their lives and their family. That is the sort of information about vaccination that parents need. They do not need lies, they do not need misinformation and they do not need organisations such as the Australian Vaccination Network putting themselves forward as advocates for vaccination, as informants of scientific evidence based information that has been tested and peer reviewed. They do not have that information, but they put themselves forward to parents as the providers of that information, and that is a reprehensible lie that has serious consequences for the community, for the public and for children." "No-one should have to lose a child through a disease that is easily prevented by vaccination. Most of us here are parents, but even those who are not would believe that there is nothing worse than losing a child. I could not imagine having my baby and losing her at four weeks or six weeks of age to whooping cough. In 2013 it is absolutely unnecessary..."
"My greatest concern is that we have organisations such as the one that calls itself the Australian Vaccination Network, and we know that that is an absolute misrepresentation of who and what they are." "They are the anti-vaccination network. They are anti-vaccination and that has serious public health consequences. In addition, it actually risks the lives of children - infants - and we must all do everything we can to prevent that from happening." "The Government, to its credit, has addressed the issue of the Australian Vaccination Network having the capacity to use a name that misrepresents who they are, and I think that is a really important action that the Government has taken. I commend it for that as well." "It is good to be able to stand here and listen to the cross-party condemnation of the Australian Vaccination Network and the support for the bill. The Australian Vaccination Network website presents a highly sceptical view of vaccination, which could be interpreted as an anti-vaccination message, which it is. But at first glance its name would imply the exact opposite."